Lapacho: Anti-Cancer or Rain Forest Mirage? Miracle Herbal Cures from the Rain Forest: Purple Lapacho -- Anti-Cancer or Rain Forest Mirage? 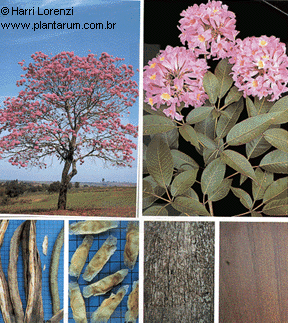 Does the bark of the Lapacho tree (pau d'arco) cure cancer? Is this product the Amazon rain forest's natural Viagra? 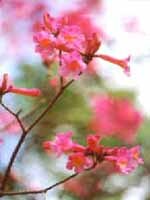 The lapacho tree, which is native to Paraguay, Brazil, and northern Argentina, is known for its gorgeous flowers. The descendants of the Guaranis, the indigenous peoples of the Alto Parana area, claim the inner bark has curative powers. Recently, lapacho bark has been tested as a cure for cancer, as well as a "vitality enhancing" elixir and potent aphrodisiac.This assignment gives you an opportunity to examine the arguments of writers, their use of logic, and the nature of the "evidence" they are using to support their claims. It also gives you a chance to look at two sides of the story, and to examine evidence through lenses colored by presuppositions, assumptions, beliefs, and values. Can you think of highly touted product that has been promoted as a miracle cure? Do you believe all the claims? Some of the claims? Why? Why not?